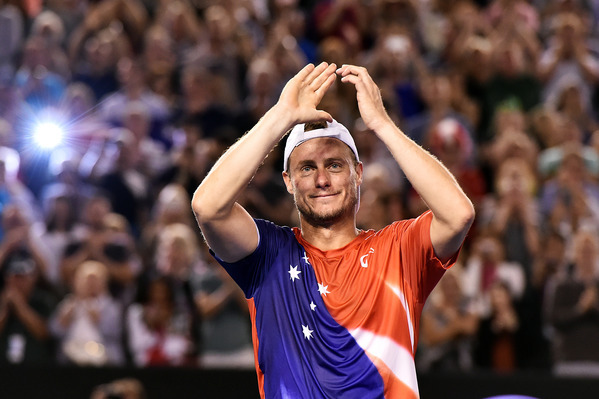 Lleyton Hewitt ended his decorated singles career with a gallant straight-sets defeat to eighth seed David Ferrer in their Australian Open second-round match on Rod Laver Arena. The former world number one went down to Ferrer 6-2, 6-4, 6-4 and will retire from professional tennis now his Melbourne Park singles campaign has come to an end. Tomic faces fellow Queenslander Millman in a Saturday special at Melbourne Park after overcoming a mid-match wobble to win 6-4, 6-2, 6-7 (5-7), 7-5 in three hours and one minute. The 16th seed began at his clinical best before inviting Bolelli back into the match. 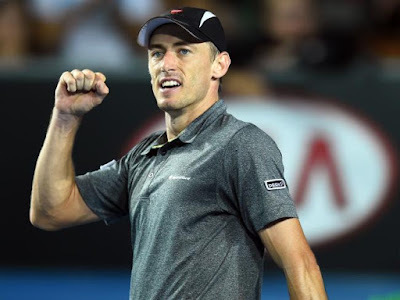 Millman won through to the last 32 in contrasting fashion, outlasting Luxembourger Gilles Simon in five hard-fought sets, 4-6, 6-4, 6-2, 4-6, 7-5. It appeared he was heading for the Melbourne Park exit door, down a set and a break before recovering strongly. Muller, the world number 38, regained his touch to take the match into a fifth set. In the deciding set, the pair swapped breaks amid high tension. Millman earned match points at 6-5, and the crowd sighed when the 26-year-old made a fine passing shot on Muller's second serve, only for a let to be called. But he recovered to end the contest on the replay, a fitting reward for his graft. Fourth seed Stan Wawrinka was given a thorough work-out before beating 37-year-old Radek Stepanek 6-2, 6-3, 6-4 to advance to the third round. The 30-year-old Swiss was occasionally bamboozled by the Czech veteran's serve-and-volley game but kept his composure to triumph after a two-hour contest. The pair exchanged breaks, and line-call challenges, in a thoroughly entertaining 57-minute third set before Stepanek went long to send Wawrinka into the third round for the eighth year in a row. Champion at Melbourne Park two years ago, Wawrinka will next meet another Czech in Lukas Rosol in the half of the draw left weakened by the first-round exit of Rafael Nadal. Rosol defeated the 25th seed Jack Sock 7-6 (8-6), 7-6 (7-5), 6-3.